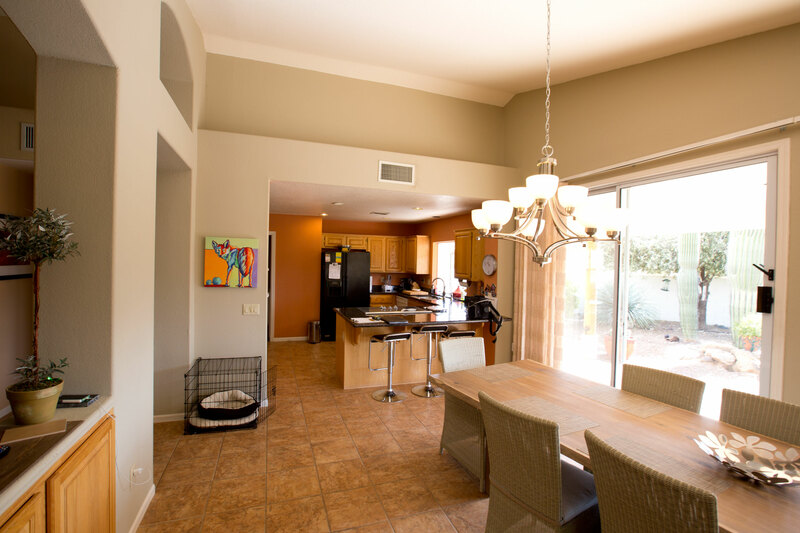 "Adjacent remodeled dining room and living room." 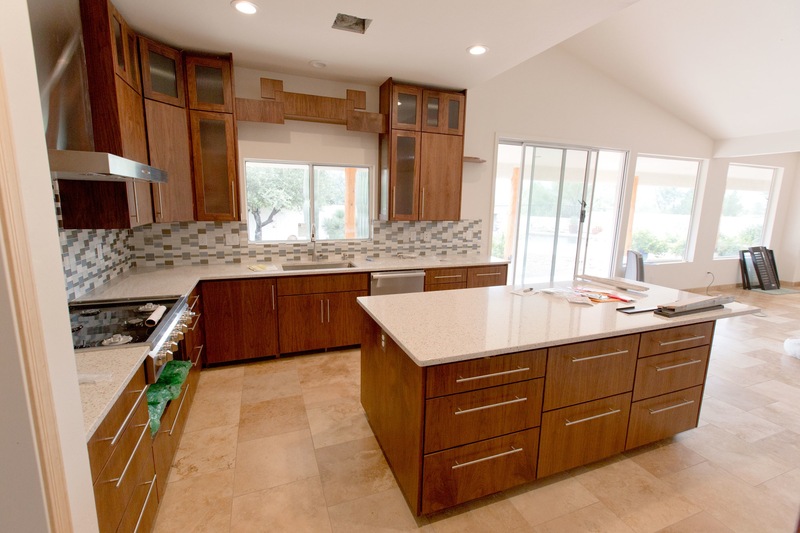 Photos show this nearly completed kitchen remodel. 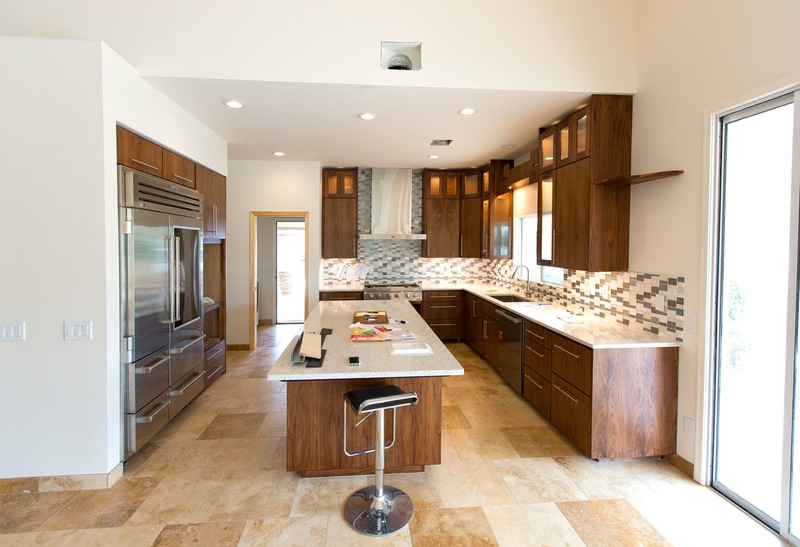 This project involved raising the existing ceiling and re-working the floor plan to provide a new sleek and contemporary kitchen. 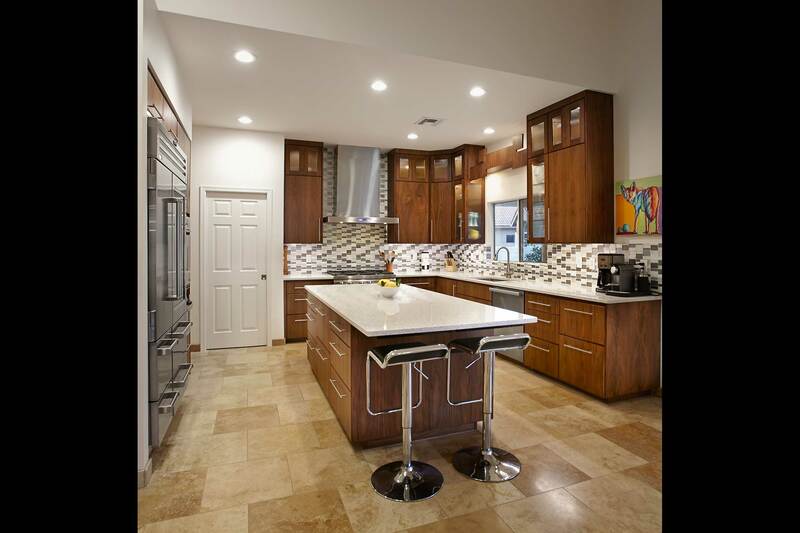 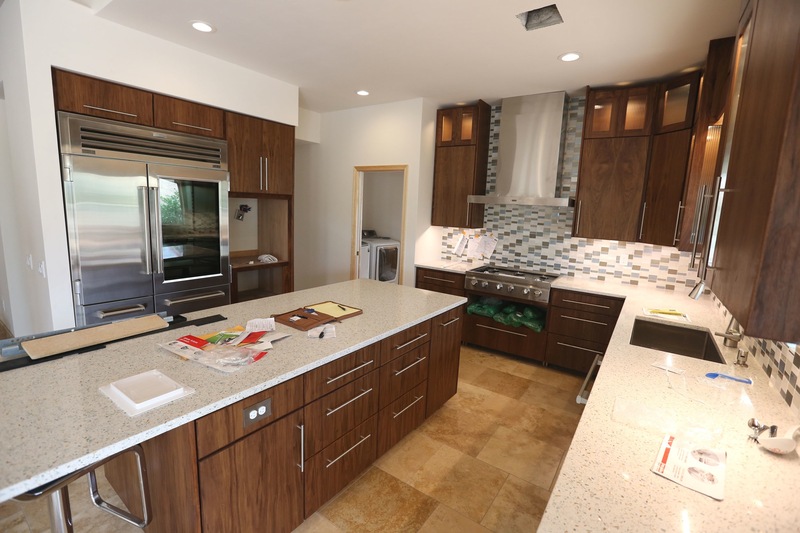 Cabinets are custom built from american walnut, counters: Silestone, Travertine floors, LED can lights. 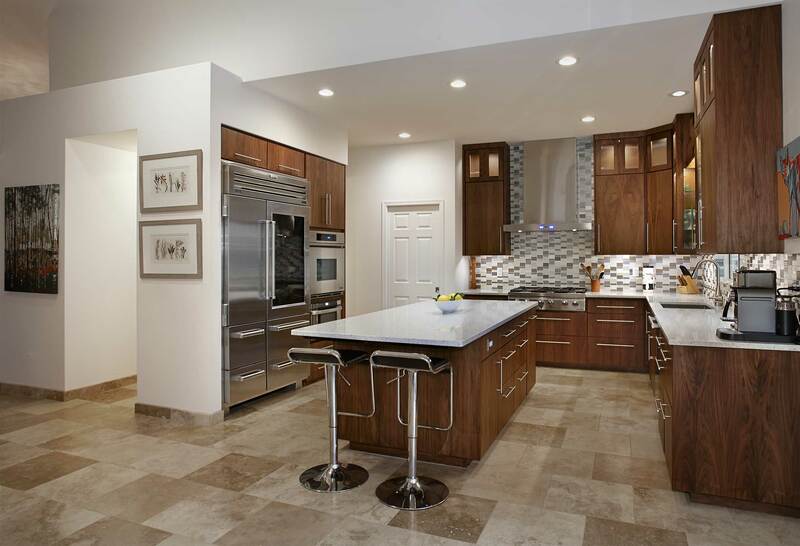 Appliances are Sub-zero, Dakor, Miele, & Sharp. 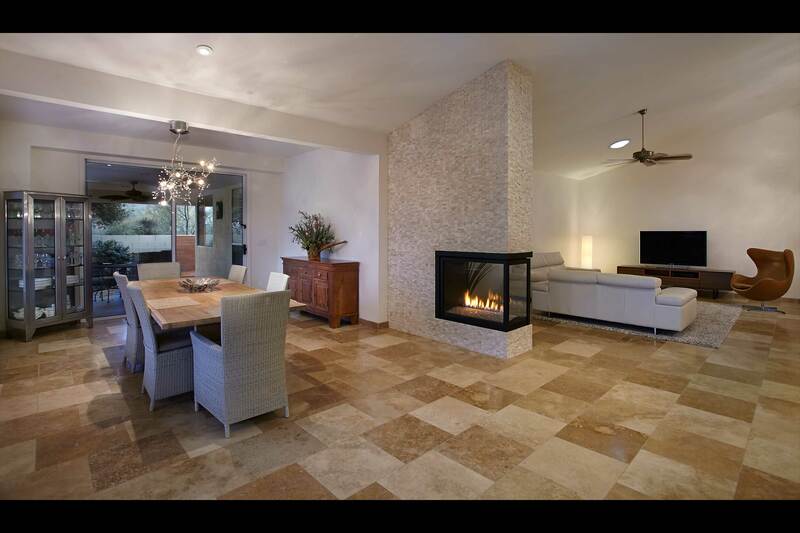 Not seen was the removal of an existing bearing wall to open up the dining room and the new installation of a gas fireplace.